DATE: March 22, 1996, 23:45 UT. This image is a 6 minute exposure whit a AR 40 mm F/1.8, with a Konica camera , on a Meade LX200 telescope with electronic motor-drive. The mean time of exposure was 23:45 UT on 03/22/96. 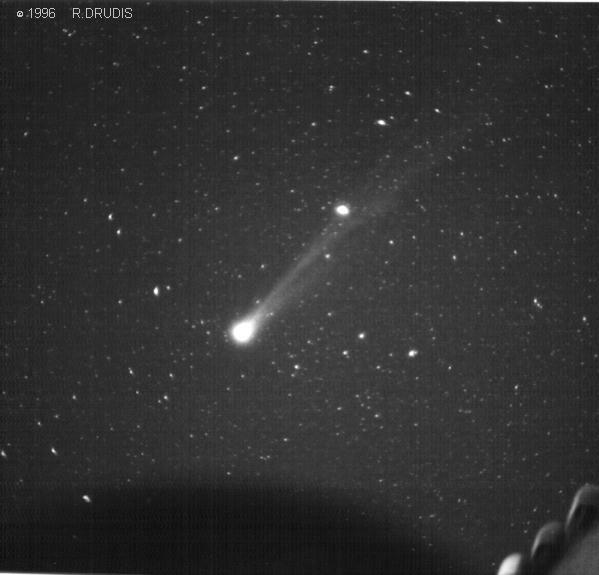 The comet was situated near epsilon Bootis star and comet's tail ran across Arturos and eta Bootis star, disappearing near Virgo constellation. 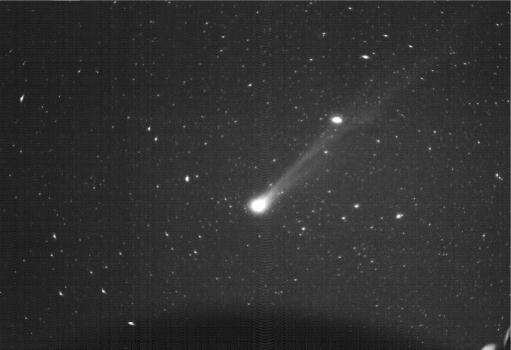 I could see the dust tail and the gas tail of the comet.